Robert Kirke [1815-1894] and David Balfour Kirke [1819-1850] were born in Carnock (Fife), the sons of Robert Kirk, a weaver, and Helen Balfour. Helen was the sister of James Balfour who had established himself as a medical practitioner in Berbice and then acquired substantial properties in Surinam. Robert and David joined their uncle in Surinam, sometime before his death in 1841. David married James Balfour’s daughter Herriet, who had remained a slave until manumitted after her father’s death. The couple had three sons, who all died young, and David died in 1850. Robert inherited his brother's share in the property and by 1859 one of the plantations, Waterloo, was regarded as the most modern in the colony. He returned to Scotland in or before 1863, when he received compensation for the emancipation of his slaves, [see obituary The Dundee Courier & Argus (Dundee, Scotland), Friday, January 05, 1894]. At this date there were 170 slaves on Hazard and 240 on Waterloo, for which compensation of almost 120,000 guilders was paid. Robert received 41/48th of this sum, the rest going to three other family members. 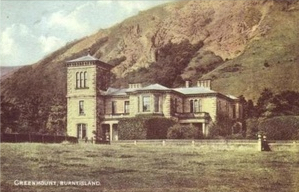 With the fortune he had inherited and acquired, he build Greenmount House, near Burntisland (Fife), which was said to be finished with Surinamese hardwood, and surrounded by extensive gardens, orchards and greenhouses for tropical fruits. The house was severely damaged by fire and finally demolish c2010. 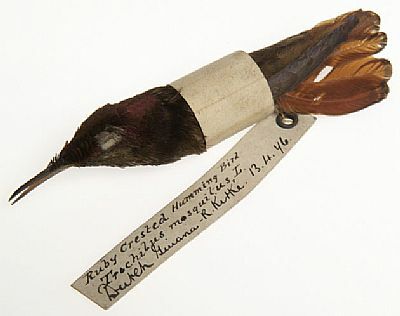 In 1876 Kirke presented a large collection of exotic mammals, birds, and insects was to the Glasgow Museum. Robert Kirke was one of the last slave owners in Scotland. His eldest son Robert [1857-1924] continued the involvement and another son, John Johnstone Kirk [b1858], worked in Surinam as a plantation manager. From 1880 the plantations began to employ indentured labourers from India and Java. However, sugar production in Surinam declined such that while there were 87 sugar plantions in 1860, only seven remained in production at the beginning of the twentienth century [R.A.J. Lier, translated (1971) by Maria J.L. Yperen, Frontier Society: A Social Analysis of the History of Surinam (The Hague, 1949). These included Hazard and Waterloo in Nickerie. The Nickerie Sugar Estates Co was formed in 1921 [NRS BT2/11830] but after Robert's death the company went into voluntary liquidation and was wound up in 1935 [Edinburgh Gazette]. died at Hilton, Burntisland, 28th November 1917.